From this article, you’ll get to know how to define geographic points which you can use together with users’ locations in Scenes. At the end of an article, you can see an example of a block scene which uses GPS. To run the scene with GPS you will need a smartphone with GPS module. You can’t define geographic points on your mobile app. If more than one person is using geographic points from one Home Center use multiple accounts. To use geographic points you have to turn on Location on your mobile phone. If you want to use location in scenes, your app has to work in the background. Go to the Panels tab. Click Enter in Localisation Panel section. 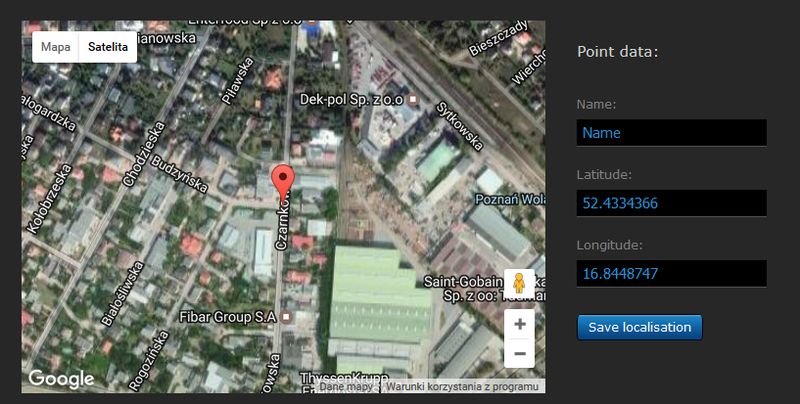 Click the place on the map which you want to add as your GPS point or enter Latitude and Longitude of this place. Enter the name of your point. You can find your points on the left sidebar in Localisation Panel section. Click the Pencil icon to edit them or the X icon to delete them. After you set the frequency of collecting GPS position you can see where your family member was in a chosen period of time. Go Your House tab -> Left sidebar Family -> Click on the account you want to follow -> Choose the date and time -> Click Check. Go to the Configuration tab. 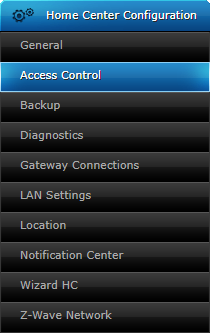 Choose Access Control from the left sidebar. 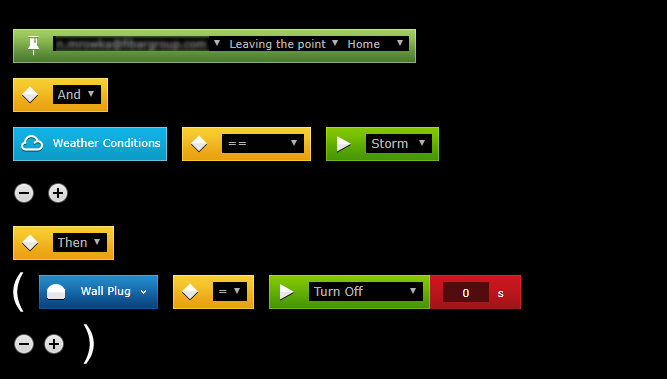 Click the pencil icon next to the SuperUser account. Check User settings section and set the Frequency for a suitable time. Click floppy disc icon to Save changes. If you’re not sure how to create a scene check here how to do it. Arrives at a point – use this option when you want something to happen when you appear in the chosen point. Leaving the point – use this option when you want something to happen when you leave the chosen point. Appears in the – use this option when you want something to happen when you appear in the area of the chosen point. Leaving the area – use this option when you want something to happen when you are leaving the area of the chosen point. 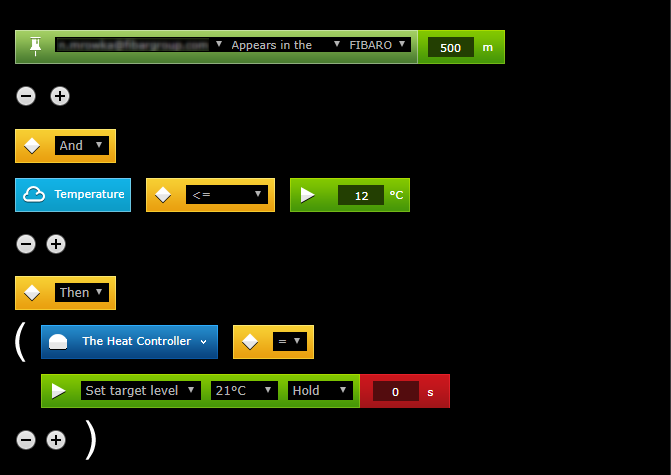 Set heating for 21°C when you’re 500 meters close to the selected point. Turn the Wall Plug off when you’re leaving a house and it is the storm outside. Turn the Switch on when leaving the area of Aquapark. Start Aurora program when you arrive at Home.